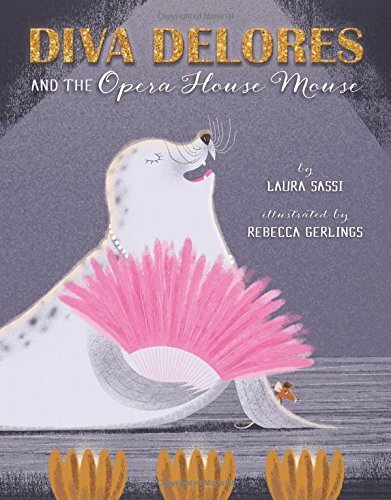 This entry was posted in Blog Tour and Giveaway, Craft Activity for Kids, Perfect Pictture Book Friday, Uncategorized and tagged Cooperation, DIVA DELORES AND THE OPERA HOUSE MOUSE, Laura Sassi, Make a fan craft, Music, Rebecca Gerlings, STERLING CHILDREN'S BOOKS, teamwork by viviankirkfield. Bookmark the permalink. I am an opera fan and attend many during the year. I can’t wait to get my hands on this story and this wonderful diva. Thanks for the lovely post, Vivian! I love the Japanese fan craft. =) It’s such an honor and delight to be making a stop on your blog. I can’t wait to read this adorable book. I love the cover and that there’s glitter and that there’s a mouse named Fernando! Tra la la is right! Thanks, Vivian, and congratulations, Laura and Rebecca! Yes, I was pretty excited about the glitter, too. Thanks for you kind words. This looks adorable! I can’t wait to read it. Congratulations! Thanks Vivian, this books looks great! We’re off to music and choir tomorrow so I’ll be thinking of the opera house mouse. Music and choir – a perfect segue into opera! Happy singing! Hope you enjoy it. Thanks for stopping by. Congratulations Laura! Your book looks so very fun! I’d love to win Copy. Thanks for your kind words. Happy reading! This sounds like a wonderful book! Thanks again! I’m so enjoying these comments. Happy reading to you! I’ve really enjoyed Laura’s other books, and this one sounds delightful, too! Congratulations, Laura! How lovely to hear you have read my first two as well. Thank you for your kind words. I think those are gorgeous! And pairing a craft with a book always enriches the story, in my opinion. The themes, setting & story sound delightful. Bravo! Looks like a sweet read, plus I love the craft activities. Thanks. And yes, crafts add a lot to story time. How fantastic! This book topic is music to my ears!! I can’t wait to read this book and get inspired by it! Thanks, Vivian and Laura! This book does look delightful! Love the diva fans! 🙂 Congratulations! Thanks, Angie. And I agree – the fans are gorgeous! I need to find a copy of this book and leave it strategically placed on the sofa so the next time I listen to Live at the Met my critics can read this book!